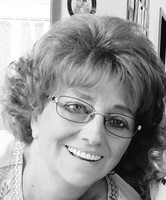 Renee Joy Keogh, 69, a resident of Chelan most of her life, passed away on January 20, 2019, peacefully in the comfort of her home in the presence of her life partner, Kenneth Sweeney. Breast, Bone, and Organ cancer finally took over her body but not her mind or sense of humor, she kept a great attitude towards her final days. Her spirit will be greatly missed as she was always caring for others and had a fun carefree way about her. She was born September 2, 1949, in Chelan, WA, to Cleo and Aubrey (Bobbie) Elgin. She graduated from Chelan High School in 1967 and shortly thereafter married Ken Keogh in 1969. They had two children together, Devin and Eric Keogh. Eventually Renee would meet her life partner, Ken Sweeney, and were together for over 22 years. Renee grew up in Chelan and shared a great love and passion for horses along with her father, Cleo, leading her to be Chelan Rodeo Queen, 2 years in a row. She enjoyed traveling, camping, motorcycling, gardening, cooking, doing many art projects, and her dogs Jack and Sassy. She is survived by her daughter, Devin Keogh; son, Eric Keogh; step-sons: Kerry Sweeney and Travis Sweeney; sister, Cheryl Bessler; step-sister, Dorothy Thompson; nieces: Adrea Lackie, Roxy Cate, and Becky Cate; nephew: Ronnie Cate; grandsons: Kyler Keogh, Kaden Keogh, Owen Adamek, Noah Adamek, Casey Sweeney and Adam Sweeney and several others who she made feel like family. A Celebration of Life will be held on Sunday, March 24, 2019 at 11:00 a.m. at the Chelan Eagles Club at 209 E. Woodin Ave., Chelan, WA, 98816. It will be hosted/catered by Devin and Eric Keogh, please feel free to call Devin at 509-669-7194 or Eric at 509-387-6279 if you have any questions. To send flowers in memory of Renee Joy Keogh, please visit our Heartfelt Sympathies Store. My condolences to the Keogh families. I'm sorry to hear about the untimely loss of dear Renee. Some Bible scriptures that have helped me during times of loss include Isaiah 26:19 and Psalm 37:28,29 which states in part: "Your dead ones will live...They will rise up". And the Bible promises that we may be reunited with our loved ones lost in death by means of an earthly resurrection. This is further confirmed by John 5:28,29 which says "Do not marvel at this, because the hour is coming in which all those in the memorial tombs will hear his voice and come out". This is possible thanks to Jesus Christ's ransom sacrifice. Thus we have a genuine hope of everlasting life in a world without wickedness or suffering.